With a shrinking pool of available grants for youth work and ambitions to brew beer, the idea of starting our own brewery began to form. When the old boilers were thrown out of the crypt and after a couple of pints in the pub the idea to mash up below St Mary’s was firmly fused. With the full support of our vicar, Marjorie and the Bishop of Edmonton, Rob the project was born with two conditions: Firstly the Bishop gets the first pint and secondly we make non-alcoholic drinks! 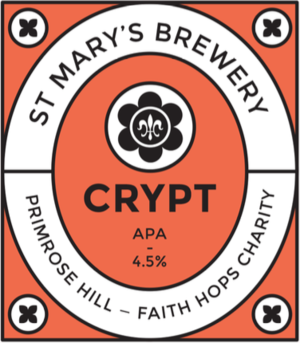 In October 2016 we gave the Bishop our first pint and he blessed the beer in front of 100 guests followed by a great tasting session of Londons’s finest craft beers. 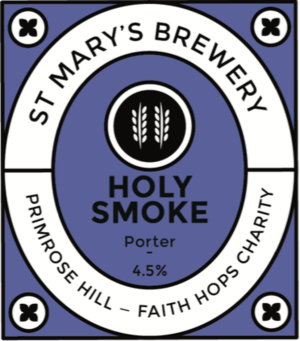 We have had a great support from our beer loving supporters and if we continue in this direction we’ll be able to start making a difference to the great work of St Mary’s youth work. Click Beer for more info.